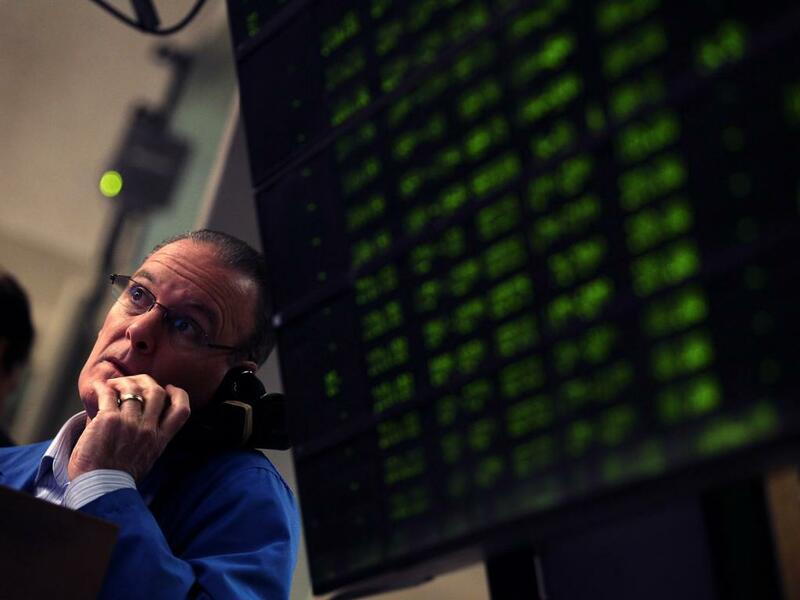 U.S. stocks were higher as the back-end of 2014 kicked off. The Dow came within less than two points of reaching the 17,000 mark as investors and traders found plenty of positives in a better-than-expected June auto sales and an expansion in U.S. manufacturing. The S&P 500 also traded at new historical all time highs of 1,978.58 while the Nasdaq hit a multi-year high of 4,471.59 in this holiday shortened trading week. The Dow gained 0.77 percent, closing at 16,956.04. The S&P 500 gained 0.67 percent, closing at 1,973.31. The Nasdaq gained 1.14 percent, closing at 4,458.65. Gold gained 0.43 percent, trading at $1,327.70 an ounce. Oil lost 0.07 percent, trading at $105.30 a barrel. Silver gained 0.19 percent, trading at $21.09 an ounce. ICSC Retail Store Sales rose one percent week over week after rising two percent last week. Redbook Chain Store Sales rose 3.1 percent year over year after rising 3.3 percent last week. June U.S. PMI Manufacturing rose to 57.3 from 56.4 in May, topping estimates of 57.0. May Construction Spending rose 0.1 percent month over month to $956.1 million, falling short of the 0.5 percent gain expected and lagging April's gain of 0.8 percent. June ISM Manufacturing Index fell to 55.3 from 55.4 in May, missing estimates of 55.6. June Global Manufacturing PMI rose to 52.7 from 52.1 in May. China announced it plans to spend $52.7 billion to construct 14 new railway projects. Iraq's parliament will today begin a 45-day process to establish a new Prime Minister. United Kingdom's PMI rose to 57.5 in June from 57.0 in May, topping forecasts for a decline to 56.8. Analysts at JPMorgan maintained an Overweight rating on BlackRock (NYSE: BLK) with a price target raised to $366.50 from a previous $354. Shares gained 0.87 percent, closing at $322.38. Analysts at BMO Capital Markets initiated coverage of Coty (NYSE: COTY) with an Outperform rating and $19 price target. Shares gained 2.10 percent, closing at $17.49. Analysts at Macquarie downgraded Deckers Outdoor (NYSE: DECK) to Neutral from Outperform. Shares gained 0.51 percent, closing at $86.77. Analysts at Bernstein downgraded Goldman Sachs (NYSE: GS) to Market Perform from Outperform. Shares lost 0.38 percent, closing at $166.81. Shares lost 0.38 percent, closing at $166.81. Analysts at S&P Capital upgraded Hewlett-Packard (NYSE: HPQ) to Strong Buy from Buy with a price target raised to $44 from a previous $38. Shares gained 1.48 percent, closing at $34.18. Analysts at MLV downgraded MannKind Corporation (NASDAQ: MNKD) to Hold from Buy with a price target raised to $11 from a previous $10. Shares lost 5.84 percent, closing at $10.32. Analysts at Credit Suisse assumed coverage of Melco Crown Entertainment (NASDAQ: MPEL) with an Outperform rating and $44 price target. Shares gained 2.24 percent, closing at $36.51. Analysts at JPMorgan maintained an Overweight rating on MetLife (NYSE: MET) with a price target raised to $49 from a previous $43. Shares gained 1.12 percent, closing at $56.18. Analysts at Goldman Sachs upgraded Netflix (NASDAQ: NFLX) to Buy from Neutral with a price target raised to $590 from a previous $380. Shares hit new 52-week highs of $473.64 before closing the day at $473.10, up 7.38 percent. Analysts at Deutsche Bank maintained a Buy rating on PPG Industries (NYSE: PPG) with a price target raised to $235 from a previous $220. Also, analysts at JPMorgan maintained an Overweight rating on PPG Industries with a price target raised to $225 from a previous $208. Shares lost 0.61 percent, closing at $208.86. Analysts at Barrington Research initiated coverage of Sotheby's (NYSE: BID) with an Outperform rating and $52 price target. Shares gained 3.29 percent, closing at $43.37. Analysts at Goldman Sachs downgraded Time Warner (NYSE: TWX) to Neutral from Buy with a price target raised to $74 from a previous $73.82. Shares hit new 52-week highs of $71.10 before closing the day at $70.57, up 0.46 percent. Analysts at Citigroup maintained a Buy rating on Treehouse Foods (NYSE: THS) with a price target raised to $93 from a previous $86. Shares gained 0.82 percent, closing at $80.73. Analysts at Wedbush downgraded Urban Outfitters (NASDAQ: URBN) to Neutral from Outperform. Shares lost 1.30 percent, closing at $33.42. Analysts at BTIG Research initiated coverage of Verizon Communications (NYSE: VZ) with a Buy rating and $60 price target. Shares lost 0.90 percent, closing at $49.37. Analysts at JPMorgan maintained an Underweight rating on Voya Financial (NYSE: VOYA) with a price target raised to $39 from a previous $35. Shares gained 0.66 percent, closing at $36.58. Analysts at Citigrioup downgraded Xerox (NYSE: XRX) to Neutral from Buy. Shares lost 0.48 percent, closing at $12.38. General Motors (NYSE: GM) U.S. June sales rose 1.0 percent to 267,461, beating estimates calling for a decline of 6.3 percent. Shares gained 3.55 percent, closing at $37.59. Ford (NYSE: F) U.S. June sales declined 5.8 percent to 22,064, coming in better than expectations for a decline of 6.6 percent. Shares lost 0.17 percent, closing at $17.21. Toyota (NYSE: TM) U.S. June sales rose 3.3 percent to 201,714, coming in short of expectations calling for a 3.5 percent gain. Shares gained 2.17 percent, closing at $122.26. Oracle (NYSE: ORCL) has sold $10 billion in debt with time to maturity ranging from three years to 30 years. Shares gained 0.59 percent, closing at $40.77. According to Wired, Apple (NASDAQ: AAPL) is developing its own voice recognition capabilities and likely will no longer rely on Nuance's (NASDAQ: NUAN) technology to power Siri. Shares of Apple gained 0.63 percent, closing at $93.52 while shares of Nuance lost 1.44 percent, closing at $18.50. Ericsson (NASDAQ: ERIC) is in talks with AT&T and Verizon to manage their mobile infrastructure. Shares of Ericsson gained 0.17 percent, closing at $12.10. Comcast (NASDAQ: CMCSA) extended the contract of its CEO Brian Roberts for another year. Shares gained 0.79 percent, closing at $54.10. Petrobras (NYSE: PBR) said that it does not expect to issue new shares before 2030. Shares lost 0.41 percent, closing at $14.57. Keurig Green Mountain (NASDAQ: GMCR) and Nestle signed an agreement to make Nestle Coffee-Mate available on the Keurig brewing system. shares of Keurig Green Mountain hit new 52-week highs of $128.42 before closing the day at $125.49, up 0.71 percent. Twitter (NYSE: TWTR) has named former Goldman Sachs underwriter Anthony Noto as its new CFO replacing Mike Gupta who will assume a new role of Senior Vice President of Strategic Investments. Shares gained 2.64 percent, closing at $42.05. Google (NASDAQ: GOOG) has purchased Songza and will explore ways to integrate the streaming music player with YouTube and other Google products. The price tag on the deal was not disclosed. Endurance Specialty Holdings (NYSE: ENH) has proposed to offer Aspen Insurance (NYSE: AHL) shareholders $49.50 in cash for each Aspen share or $19.80 in cash and 0.5518 of a share of Endurance. 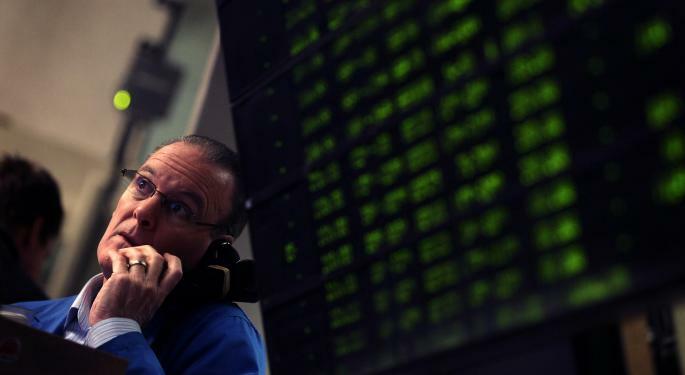 Shares of Endurance gained 2.02 percent, closing at $52.63 while shares of Aspen gained 1.10 percent, closing at $45.92. Cooper Companies (NYSE: COO) has agreed to purchase Sauflon Pharmaceuticals for $1.2 billion. The company expects the acquisition to add to its earnings per share in fiscal 2015. Shares hit new 52-week highs of $147.56 before closing the day at $146.95, up 8.43 percent. Salix Pharmaceuticals (NASDAQ: SLXP) reported a positive result from a Phase 3 clinical trial involving patients with irritable bowel syndrome with diarrhea (IBS-D.) The study demonstrated the safety and efficacy of its Xifaxan therapy showed a statistically significant proportion of the test group responded to repeat treatment when compared to a placebo. The company plans to file an sNDA for the expanded indication of IBS-D. Shares hit new 52-week highs of $140.83 before closing the day at $140.02, up 13.51 percent. Last night Synageva BioPharma (NASDAQ: GEVA) reported that a placeba-controlled Phase 3 clinical trial for its sebelipase alfa as a treatment for lysosomal acid lipase deficiency achieved the primary endpoint of statistically signficant normalization of alanine aminotransferase. However, analysts reaction were not positive as analysts at Citigroup suggested that the stock already reflects $700 million of sales of sebelipase alfa. Analysts at Leerink suggested that investors heavily expected the drug being approved by the FDA following previous successful trials. Also, the Leerink analyst suggested that lysosomal acid lipase patients may be difficult to find resulting in a slower than expected launch of the drug. Shares lost 13.69 percent, closing at $90.45. This morning, Acuity Brands (NYSE: AYI) reported its third quarter results. The company announced an EPS of $1.00, missing the consensus estimate of $1.12. Revenue of $603.9 million missed the consensus estimate of $609.09 million. Net income for the quarter rose to $43.8 million from $31.7 million in the same quarter a year ago as the company benefited from favorable trends in order rates and the continued adoption of LED lighting solutions. The company is optimistic over the industry growth over the next decade however investors were not impressed with the quarterly results as shares dropped 14.92 percent, closing at $117.62. Recommended: Is Twitter Becoming A Shopping App? Portugal Telecom (NYSE: PT) saw two executives, Fernando Magalhaes Portella and Otavio Marques de Azevedo leave the company without providing explanations. Shares lost 5.74 percent, closing at $3.45. "Geography has made us neighbors. History has made us friends. Economics has made us partners. And necessity has made us allies. Those whom nature hath so joined together, let no man put asunder." – In honor of Canada day, President John Kennedy, addressing the Canadian Parliament in 1961.